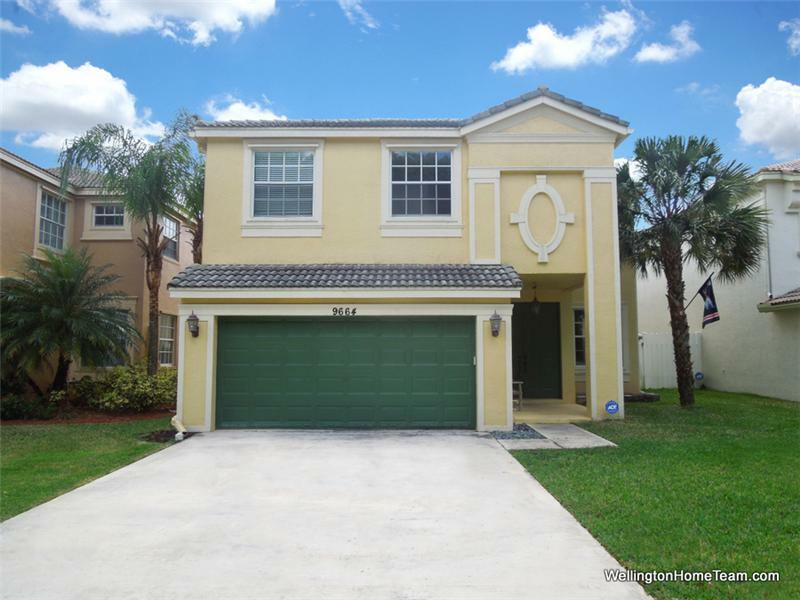 This property at 9664 Wolcott Place , Wellington, FL33414 has listed by Michelle Gibson, REALTOR but has not been updated for quite some time. Please contact the listing agent and broker for up to date information. Olympia is a magnificent guard gated community located on the southeast corner of Forest Hill Boulevard and 441 (SR-7) in Wellington Florida. Within the gates are resort style amenities that include a swimming pool, cabanas, spa, clubhouse, fitness center, indoor and outdoor basketball courts, tennis courts, playground and more. Top rated Wellington schools are just a short walk, bike ride or drive away along with shopping, dining and entertainment. The Florida Turnpike, Palm Beach International Airport and Florida's sandy beaches are also only 15-30 minutes away from Olympia. Gorgeous pool home for sale in Wellington Florida! Built for entertaining this two story home features 5 bedrooms, 2.5 bathrooms and a 2 car garage. Upon entering the double doors you will fall in love with the spacious floorplan, custom features and upgrades throughout. The well-appointed formal living room and dining room are open to one another and flow seamlessly into the kitchen and family room. The kitchen was completely renovated and offers espresso cabinetry with undermount lighting, rollout drawers and a wine rack along with granite counter-tops, tile backsplash, center island, top of the line stainless steel appliances, including double ovens and a range hood.